Isa Gusau, Maiduguri: Governor Kashim Shettima on Sunday wished Nigerians a memorable Christmas with a call on residents of Borno State, to use the religious festival in renewing kindness to victims of Boko Haram insurgency particularly displaced civilians and families of armed forces and volunteers who sacrificed their lives fighting insurgents to regain peace in Borno State, and other parts of the northeast. The Governor also called on citizens to re-dedicate concern for the education of over 52,000 school aged children whose parents were killed by Boko Haram. Governor Shettima’s Christmas message was emailed to journalists by his spokesman, Isa Gusau. “Governor Kashim Shettima urges Citizens to use the festival in showing love in whatever form to victims of the insurgency in hospitals, within IDP camps, or those living outside camps who are known to have suffered any form of trauma as a result of the crisis. The Governor has always been concerned about the plight of over 52,000 school aged orphans whose parents were killed by insurgents. This explains why the Governor has been personally supervising ongoing building of dozens of high class boarding primary and junior secondary schools specifically designed for the free and quality education of these orphans. Shettima also enjoins citizens to continually pray for the Nigerian Military, multi-national forces, volunteers and all security agencies to successfully complete their patriotic battle against the insurgents. 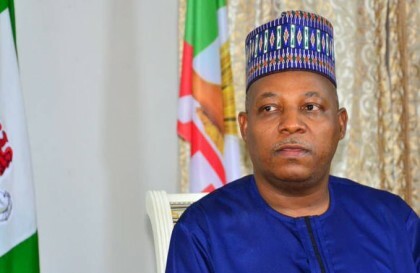 Governor Kashim Shettima assures citizens that security agencies in the State are dedicated to safeguarding lives and property throughout the Christmas period and beyond” Gusau said.